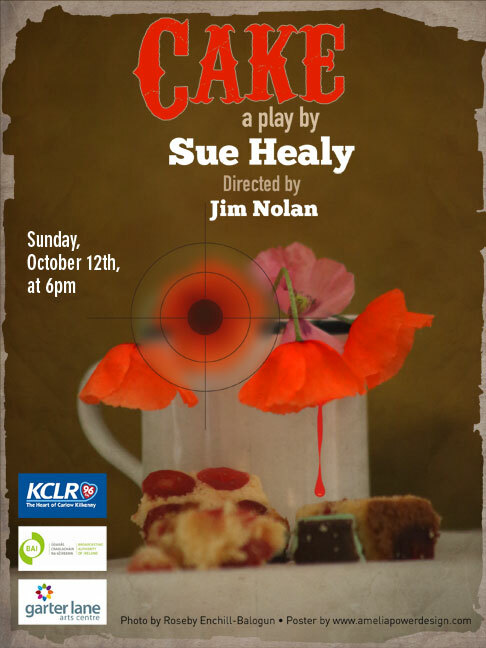 On this Armistice Day, I’m re-posting my KCLR 96fm BAI-funded play CAKE. This 45-minute play, set in Waterford 1915-1920, focuses on a local family challenged by opposing allegiances: Lance Corporal Joseph Bohan-O’Shea is fighting at the Somme whilst his Northern Protestant wife May raises their four children down south in Waterford City. However, Joseph’s staunchly Nationalist mother is angry with her son for taking the ‘Saxon shilling’ and betraying the family by joining the British Army. Her gender barring her from taking up arms herself, Mother persuades Joseph’s poet twin, Michael, to fight for Irish freedom, but Michael’s true passion is his unrequited love for his sister-in-law, May…. This story is a fictionalisation of my great-grandparents’ own story. CAKE is directed by Jim Nolan, and stars Michael Power (winner of the Portsmouth International Film Festival’s 2014 Best Actor Award), Madeleine Brolly and Jenni Ledwell. CAKE also features a special recording of Waterford anthem In Happy Moments by William Vincent Wallace, performed here by Matthew Sprange, fresh from his Olivier Award winning performance in English Touring Opera’s Paul Bunyon.